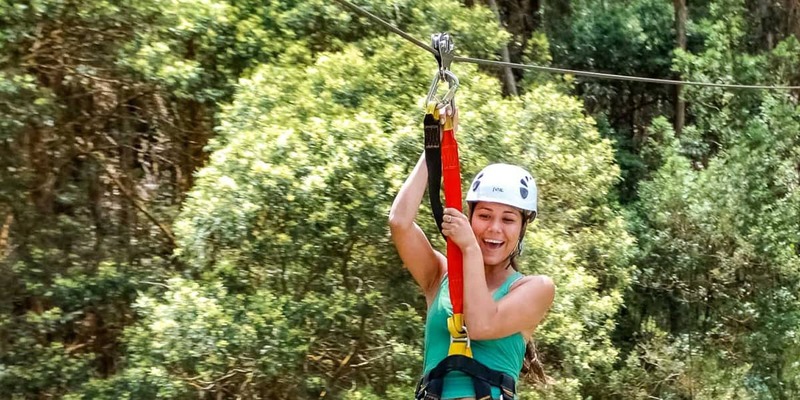 Awaken your adrenaline and curiosity on a Kapalua Zipline Tour Adventure as you fly over the West Maui Mountains via seven ziplines covering two miles of parallel cable lines! From our mountain outpost, you’ll continue your ascent to the upper reaches in a four-wheel drive Polaris Ranger to “climb” the upper reaches of the adventure course. 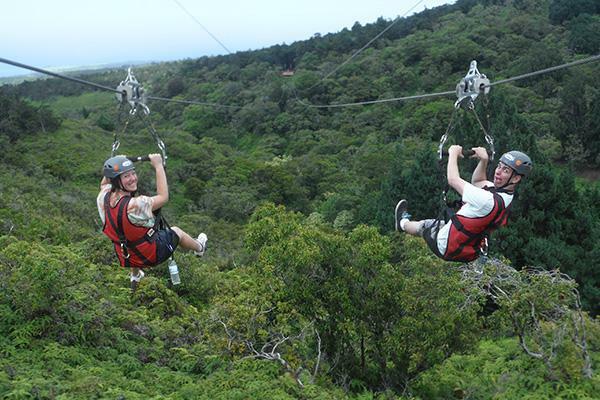 Age: Kids as young as 10 can start ziplining at Kapalua Ziplines. Adults must accompany minors from ages 10-14. 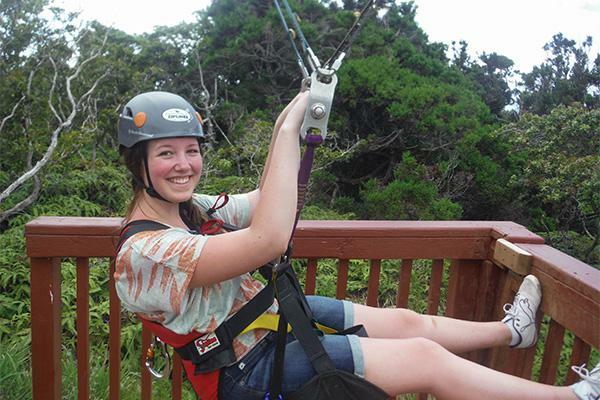 Minors ages 15-17 can zipline alone but MUST have an adult sign the waiver. 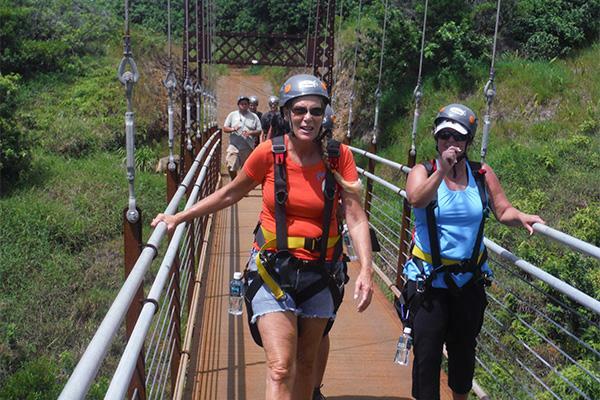 Weight: Guests must weigh between 60 and 250 pounds in order to ride at Kapalua Ziplines. Weigh-ins are mandatory, and refunds are not given if you do not fall into this weight range. 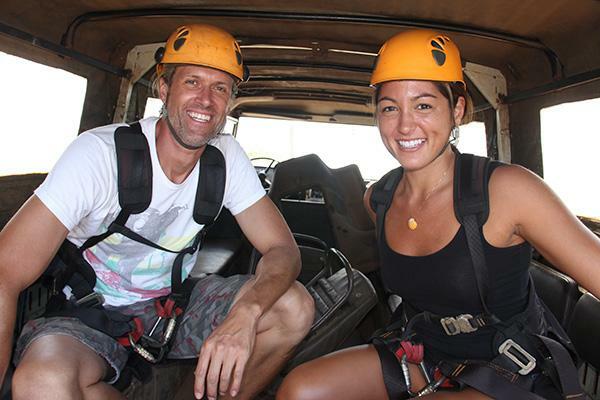 Physical health: We’ve designed our courses to gradually prepare you for the higher, longer zip lines, so don’t let your fear of heights keep you from tackling this exciting experience. However, in order to participate, you should be in moderately good health, comfortable walking on uneven terrain or on stairs, and able to stand for up to two hours. Pregnant women, those with existing injuries, or anyone under the influence of alcohol or drugs will not be allowed to participate. Liability release form: Forms available on site; a parent or legal guardian must sign the release for guests under the age of 18. Safety Information: Your safety is our top priority. All of our equipment is checked daily and meets or exceeds all industry standards, and our professionally trained guides stay with you at all times. We focus on your safety so you can relax and enjoy the ride (and the view!). What time do I need to check in for my tour? We recommend you arrive 30 minutes before your scheduled tour. At the main office located at 500 Office Road, Lahaina, HI 96761. Wear comfortable clothes and closed-toe hiking or athletic shoes. Rain gear will be provided. Sunglasses and sunscreen are recommended. Is there a age minimum? 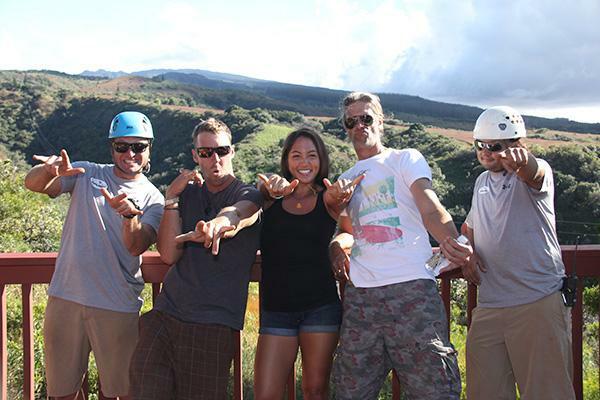 Kids as young as 10 can start ziplining at Kapalua Ziplines. Adults must accompany minors from ages 10-14. Minors ages 15-17 can zipline alone but MUST have an adult sign the waiver. 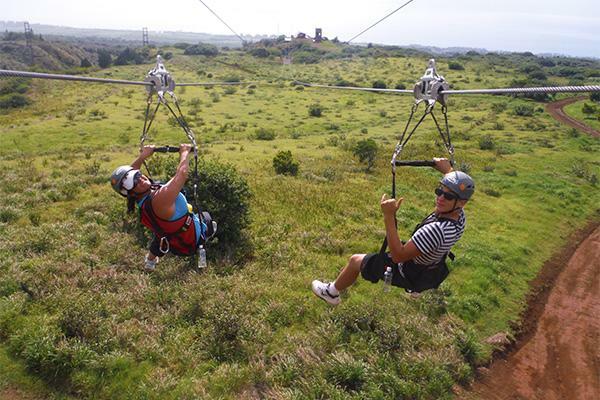 Guests must weigh between 60 and 250 pounds in order to ride at Kapalua Ziplines. Weigh-ins are mandatory and refunds are not provided if you do not fall into this weight range. You should be in moderately good health. Pregnant women, those with existing injuries, or anyone under the influence of alcohol or drugs will not be allowed to participate. Dress appropriately for weather conditions; rain jackets will be provided. 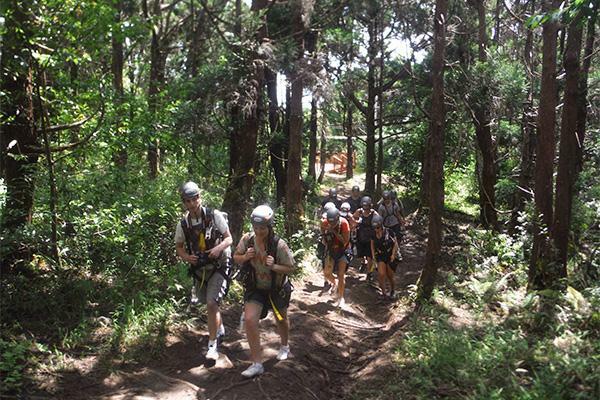 Kapalua ziplines is not responsible for the loss of personal items. We recommend you remove hanging or dangling jewelry and rings. 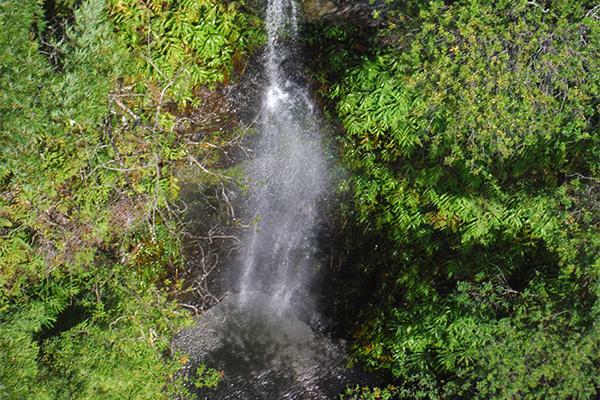 Experience the natural splendor of Maui from the exotic native forests to looking down at a 50-foot waterfall as you glide through the air. 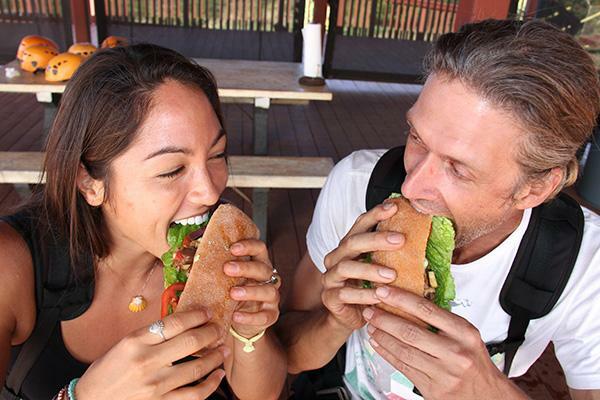 This tour includes lunch and water with breathtaking panoramic views of three islands.